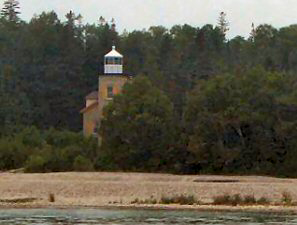 Bois Blanc Island Lighthouse, Bois Blanc Island, MI. 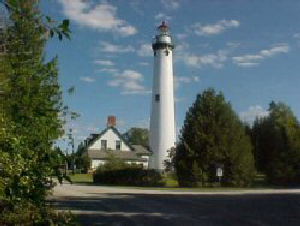 Located on the north end of Bois Blanc Island, to mark a shoal that juts out into northern Lake Huron, the Bois Blanc Island lighthouse is a two-story, light-brick, dwelling with an attached square 38-foot tower jutting out from the front. 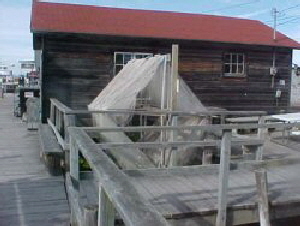 Built in 1867, it is the third lighthouse on this location.